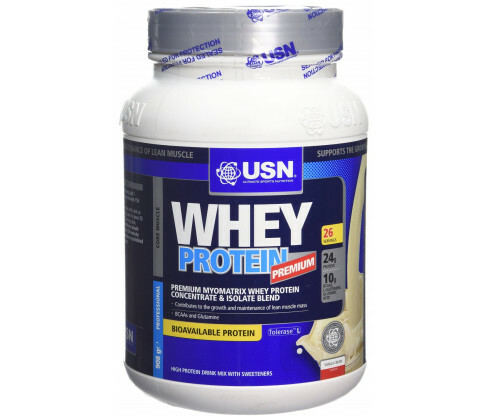 USN 100% Whey Protein Premium, Vanilla is an effective post training recovery drink that contains pure whey protein isolates and blends and is low in fats and carbohydrates. It is absorbed instantly into your system and helps stimulate the development of healthy lean muscles. The product is a dietary supplement and should not be used as a treatment or cure of any disease or ailment. Always read all product details and package carefully before use. Do not use in case you are allergic to any of the ingredients. Pure whey protein is a dietary supplement that boosts immunity, stimulates the development of healthy lean muscles and aids in recovery after your regular training sessions. To use, add the recommended quantity of the powder to cold water or any cold beverage of your choice. Stir for about thirty seconds to make a smooth and palatable vanilla flavoured drink. For a serving of 24g protein, add one heaped scoop of the powder to about 150ml of water and for 50g serving, add two heaped scoops to about 300ml of water. 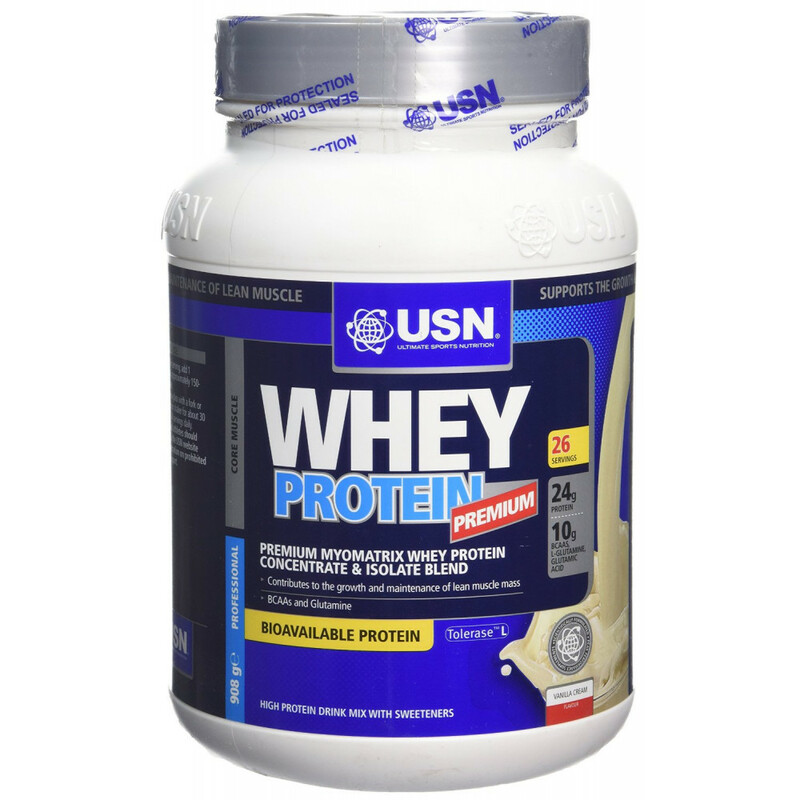 USN 100% Whey Protein Premium, Vanilla contains MyoMatrix whey protein concentrate blend and isolate, Medium Chain Triglyceride (MCT) oil (derived from palm fat), Maltodextrin, ZymaTech Lactazyme powder (Lactase), Fructo-oligosaccharides (FOS), Stabilisers (Guar Gum, Xanthan Gum), Non-nutritive sweetener blend (Sucralose, Acesulfame-K), Colour (Red Beet Powder) and Flavour.